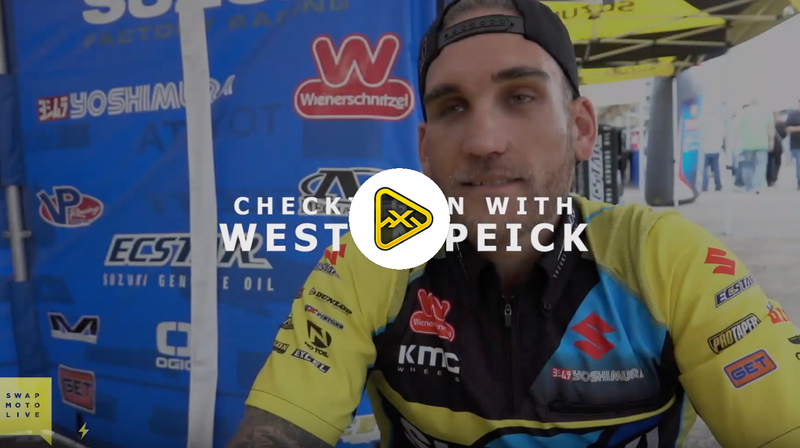 The first round of the 2019 FIM Motocross World Championship season is in the books. 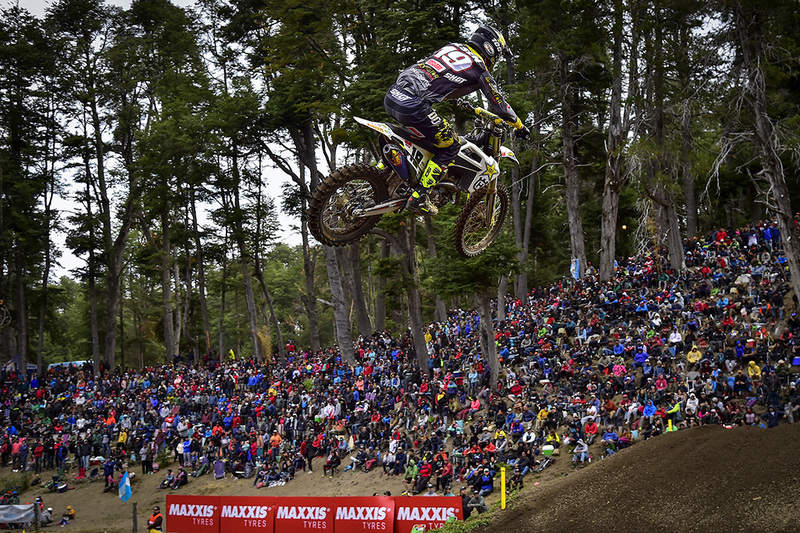 The MXGP of Patagonia Argentina hosted MXGP for the fifth year and again provided amazing racing. The Red Bull KTM Factory Racing duo of Antonio Cairoli and Jorge Pradoeach took double race wins to score the first respective MXGP and MX2 overall wins of the new year. Saturday’s Qualifying set the stage for today’s Championship races where over 30,000 fans lined the beautiful Patagonian circuit. Even with the venue nestled between two lakes and along the Andes mountains all eyes were on the epic racing. Red Bull KTM Factory Racing’s Antonio Cairoli was the favorite for the first MXGP round but it wasn’t an easy weekend by any means for the 9-time champion. Saturday’s Qualifying races left the #222 on the far outside gate after not finishing due to a bike issue yesterday. When the racing kicked off Cairoli’s KTM was back better than ever, but Monster Energy Kawasaki Racing Team’s Julien Lieber took the Fox Holeshot. The lead for Lieber was short lasted as Cairoli took over on the first official lap. Monster Energy Yamaha Factory MXGP’s Romain Febvre, who came into the race as the qualifying race winner, was into second position by the end of the first lap leaving Lieber to fight for position with his Monster Energy Kawasaki Racing Teammate Clement Desalle and Team HRC’s Tim Gajser. The pair also dispatched the #33 pushing him to 5th. During the next three laps Lieber dropped 2 more spots first to Monster Energy Wilvo Yamaha Official MXGP’s Gautier Paulin and next to fellow Belgian Jeremy Van Horebeek on his HONDA SR MOTOBLOUZ bike. Tim Gajser was the rider on the move in race one though as he passed Desalle for second then reeled in Febvre and took 2nd. With 5 laps remaining Cairoli was long gone in the lead but Gajser keep pushing to open a gap over Febvre. The race win went to Cairoli in a dominating performance with Gajser, Febvre, Desalle, and Paulin rounding out the top 5. 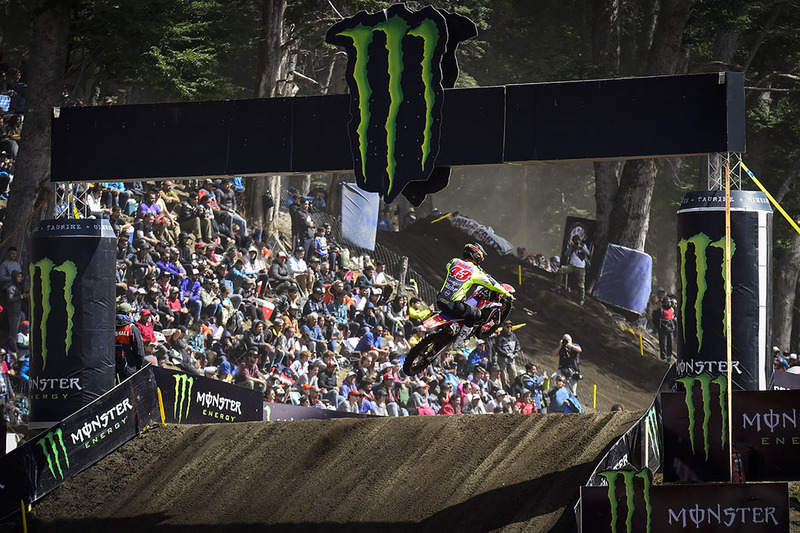 Rockstar Energy Husqvarna Factory Racing Arminas Jasikonis and Pauls Jonass battled throughout the late stages of the race after both made it by Monster Energy Yamaha Factory MXGP’s Jeremy Seewer. Jasikonis eventually came out ahead of Jonass as the pair finished 8th and 9th and Seewer took the final spot in the top ten. MXGP Race 2 started with another Fox Holeshot from Julien Lieber while Cairoli came out of the first turn around 5th avoiding a crash that involved Paulin, Desalle, and Seewer. Seewer was the first get going coming across the first lap in 15th while Desalle was 16th and Paulin 19th. Lieber lost the advantage earned by his holeshot when he fell on the opening lap as well getting back up in 18th. Febvre took over the lead from Lieber with Gajser giving chase and Cairoli closing in to the fight for the lead. BOS Factory’s Tommy Searle was in 4th but dropped a spot to Van Horebeek early in the race while Standing Construct KTM’s Ivo Monticelli took 6th from RFX KTM Racing’s Shaun Simpson. Monticelli’s Standing Construct KTM Teammate Max Anstie took 6th from the Italian on the 5th lap and then sized up fellow Brit Tommy Searle for 5th position. Meanwhile the battle for the lead turned into an all-out but short-lived brawl as Cairoli miraculously passed both Gajser and Febvre in the same section. With Cairoli taking the spot from Febvre the Slovenian of Gajser found a way past the Frenchman as well. On the 14th lap of 18 Febvre crashed out of the race in the roller section giving Van Horebeek 3rd and moving Anstie and Searle into the top 5. Desalle and Paulin worked forward together throughout the race after the first turn crash with Paulin taking 5thfrom Searle with 3 laps to go while Desalle made a pass on the #100 in the last lap. At the finish it was Cairoli who managed to hold of a consistently fast Gajser for the first MXGP overall victory of 2019 and his 16th consecutive season with a GP victory. 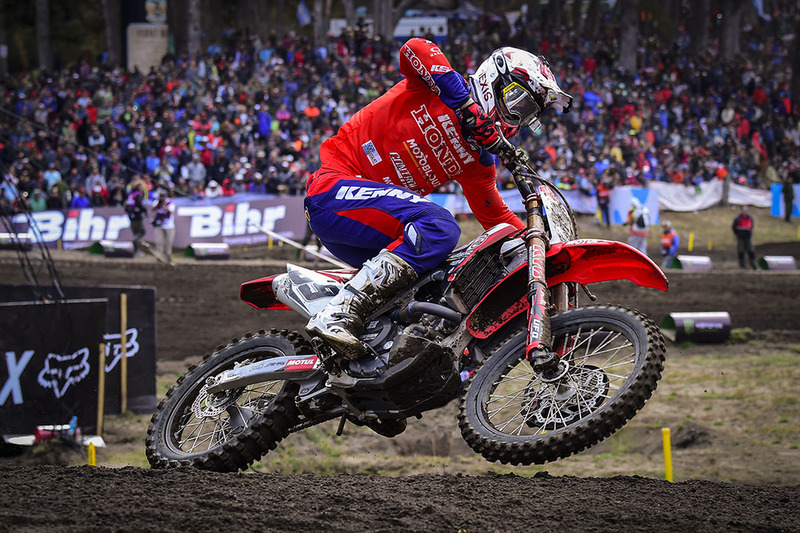 Gajser’s pair of second place finishes took him to the podium as well while Van Horebeek surprised many with his 6-3 race finishes to earn 3rd and his first podium since the 2017 season where he finished 3rd at MXGP of Europe in Valkenswaard and 2nd at this same venue prior. MXGP Race 1 Top Ten: 1. Antonio Cairoli (ITA, KTM), 34:41.270; 2. Tim Gajser (SLO, Honda), +0:06.253; 3. Romain Febvre (FRA, Yamaha), +0:09.838; 4. Clement Desalle (BEL, Kawasaki), +0:11.464; 5. Gautier Paulin (FRA, Yamaha), +0:14.030; 6. Jeremy Van Horebeek (BEL, Honda), +0:32.226; 7. Julien Lieber (BEL, Kawasaki), +0:39.435; 8. 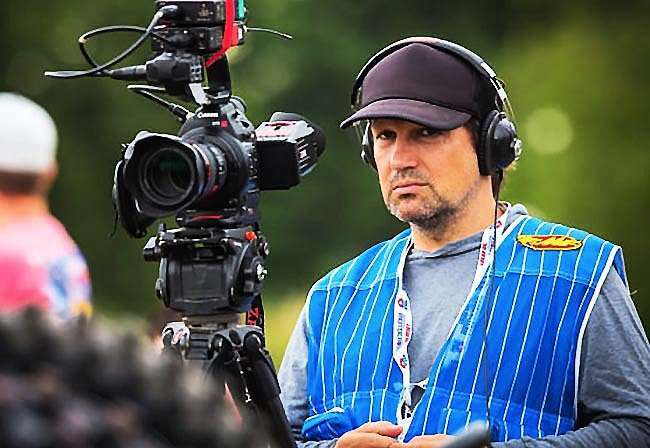 Arminas Jasikonis (LTU, Husqvarna), +0:49.752; 9. Pauls Jonass (LAT, Husqvarna), +0:50.285; 10. Jeremy Seewer (SUI, Yamaha), +0:59.164. MXGP Race 2 Top Ten: 1. Antonio Cairoli (ITA, KTM), 34:56.475; 2. Tim Gajser (SLO, Honda), +0:02.386; 3. Jeremy Van Horebeek (BEL, Honda), +0:37.829; 4. Max Anstie (GBR, KTM), +0:42.332; 5. Gautier Paulin (FRA, Yamaha), +0:43.070; 6. Clement Desalle (BEL, Kawasaki), +0:47.509; 7. Tommy Searle (GBR, Kawasaki), +0:49.602; 8. Arminas Jasikonis (LTU, Husqvarna), +0:58.810; 9. Shaun Simpson (GBR, KTM), +1:01.941; 10. Arnaud Tonus (SUI, Yamaha), +1:03.513. MXGP Overall Top Ten: 1. Antonio Cairoli (ITA, KTM), 50 points; 2. Tim Gajser (SLO, HON), 44 p.; 3. Jeremy Van Horebeek (BEL, HON), 35 p.; 4. Clement Desalle (BEL, KAW), 33 p.; 5. Gautier Paulin (FRA, YAM), 32 p.; 6. Arminas Jasikonis (LTU, HUS), 26 p.; 7. Tommy Searle (GBR, KAW), 22 p.; 8. Shaun Simpson (GBR, KTM), 22 p.; 9. Jeremy Seewer (SUI, YAM), 21 p.; 10. Pauls Jonass (LAT, HUS), 21 p.
MX2 Championship racing was the first to start off the day and as early as the first turn the unexpected happened with Red Bull KTM Factory Racing’s Tom Vialle taking the Fox Holeshot in his first ever FIM Motocross World Championship race. Vialle’s lead quickly went to the defending MX2 World Champion Red Bull KTM Factory Racing’s but the young French rider held his own as the race progressed. F&H Racing Kawasaki’s Henry Jacobi took second during lap 2 and then worked to catch Prado. Saturday’s Qualifying winner, Rockstar Energy Husqvarna Factory Racing’s Thomas Kjer Olsen, spun off the gate and was fight his way forward from outside the top 5 in the early stages of the race. Between Vialle in 3rd and Olsen was Honda 114 Motorsport’s Mitch Evans, Team HRC’s Calvin Vlaanderen, and Monster Energy Kemea Yamaha Official MX2’s Jago Geerts. However, in only 5 laps Olsen moved up 4 positions to just behind Jacobi who was in second. During this time Prado had done damage to anyone else’s chance of winning by putting in 3 consecutive fastest laps of the race and growing a massive gap. It took 3 laps for Olsen to make a pass on Jacobi stick as the Kawasaki rider didn’t let the spot go easily. Prado’s gap proved to be too big for Olsen to overcome and the Spaniard took the race win while Jacobi finished 3rd, Vlaanderen 4th, and MX2 rookie Mitch Evans took 5th. Race 2 was another Red Bull KTM holeshot but this time it went to Jorge Prado with Evans running in 2nd and Olsen 3rd. Monster Energy Kemea Yamaha Official MX2’s Ben Watson was off to a good start as well, but a handful of mistakes dropped him from 4th to outside the top ten early. Vlaanderen took over the 4th position vacated by Watson and Vialle moved to 5th while at the Prado again pulled a gap. Olsen was able to get by the #43 of Evans and closed slightly on Prado but still was several seconds behind. F&H Racing’s Adam Sterry and Henry Jacobi were making progress as Sterry took 5th from Vialle who then dropped another spot to Jacobi. Sterry stayed in 5th for nearly 5 laps but crashed just before the challenging wave section. The fall gave Jacobi 5th but dropped Sterry to 9th where he would finish. 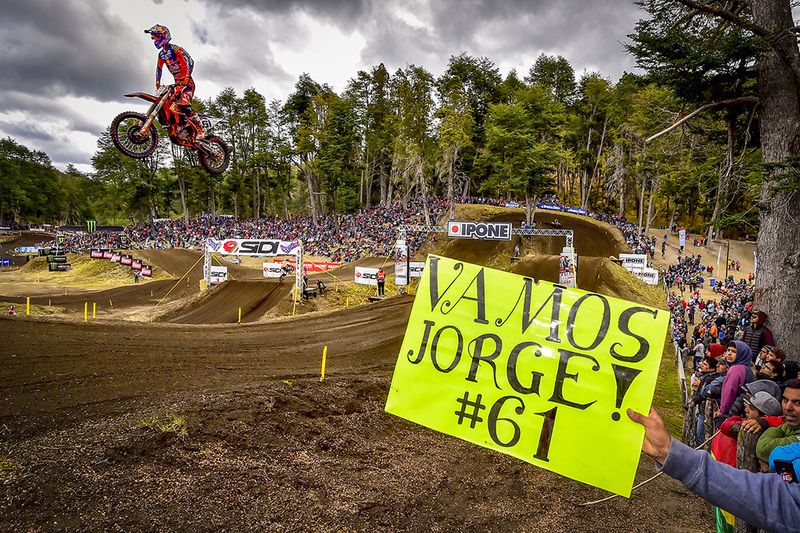 At the finish line, it was Jorge Prado who took the overall win and 50 points allowing him to retain the red plate earned last season. 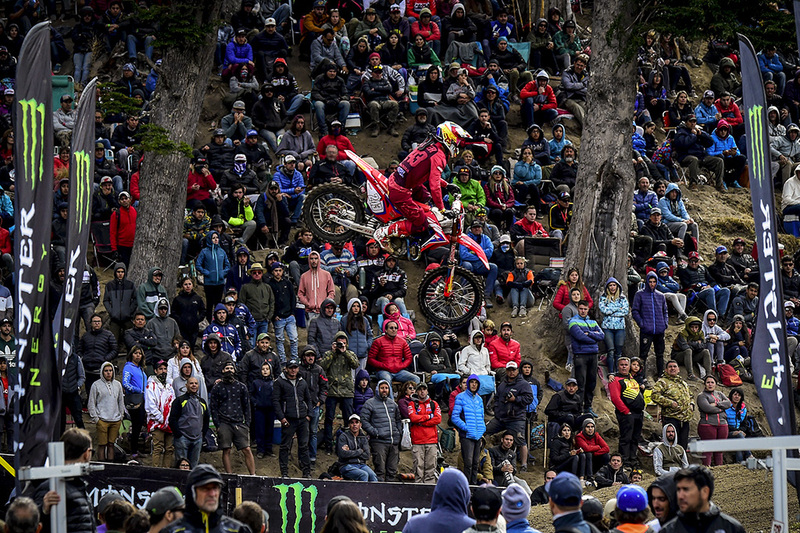 Olsen took second overall matching his 2018 result in Patagonia while Australia’s Mitch Evans took 3rd overall in what his first ever MX2 race! MX2 Race 1 Top Ten: 1. Jorge Prado (ESP, KTM), 34:50.385; 2. Thomas Kjer Olsen (DEN, Husqvarna), +0:16.677; 3. Henry Jacobi (GER, Kawasaki), +0:23.565; 4. Calvin Vlaanderen (NED, Honda), +0:25.535; 5. Mitchell Evans (AUS, Honda), +0:27.289; 6. Ben Watson (GBR, Yamaha), +0:29.198; 7. Tom Vialle (FRA, KTM), +0:37.127; 8. Adam Sterry (GBR, Kawasaki), +0:39.496; 9. Conrad Mewse (GBR, KTM), +0:41.631; 10. Davy Pootjes (NED, Husqvarna), +0:52.057. MX2 Race 2 Top Ten: 1. Jorge Prado (ESP, KTM), 33:48.208; 2. Thomas Kjer Olsen (DEN, Husqvarna), +0:04.825; 3. Mitchell Evans (AUS, Honda), +0:12.437; 4. Calvin Vlaanderen (NED, Honda), +0:23.647; 5. Henry Jacobi (GER, Kawasaki), +0:30.601; 6. Jago Geerts (BEL, Yamaha), +0:31.623; 7. Ben Watson (GBR, Yamaha), +0:34.405; 8. Tom Vialle (FRA, KTM), +0:46.909; 9. Adam Sterry (GBR, Kawasaki), +0:51.470; 10. Davy Pootjes (NED, Husqvarna), +0:53.754. MX2 Overall Top Ten: 1. Jorge Prado (ESP, KTM), 50 points; 2. Thomas Kjer Olsen (DEN, HUS), 44 p.; 3. Mitchell Evans (AUS, HON), 36 p.; 4. Calvin Vlaanderen (NED, HON), 36 p.; 5. Henry Jacobi (GER, KAW), 36 p.; 6. Ben Watson (GBR, YAM), 29 p.; 7. Tom Vialle (FRA, KTM), 27 p.; 8. Jago Geerts (BEL, YAM), 25 p.; 9. Adam Sterry (GBR, KAW), 25 p.; 10. Davy Pootjes (NED, HUS), 22 p.
MX2 Manufacturers: 1. KTM, 50 points; 2. Husqvarna, 44 p.; 3. Honda, 38 p.; 4. Kawasaki, 36 p.; 5. 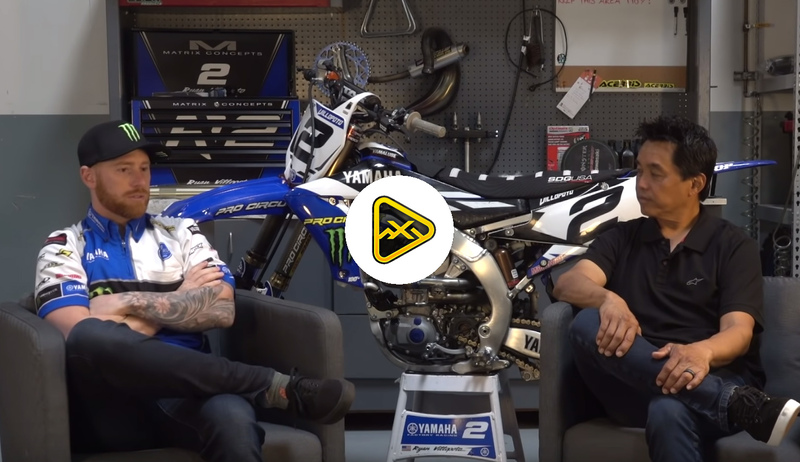 Yamaha, 30 p.
Swap Interview with Ryan Villopoto – Racing Nationals?